5 Best Classic Car Museums in the U.S.
Seattle is so scenically blessed it's almost laughable. Just try to picture it: The snowcapped Olympic Mountains frame the western sky, while 14,411-foot Mount Rainier, although some 90 miles from the city, is a majestic presence on the southern horizon. Puget Sound is sculpted with an intricate network of bays and inlets and speckled with islands large and small, resembling nothing so much as polished emeralds flung onto the surface of an intense blue soup. The shore of long, skinny Lake Washington is beautified by an almost continuous series of parks and greenbelts. And Seattle sits right in the middle of it all. The vistas are, in a word, awesome. If you don't spend all day gawking at nature's splendor, plenty of fun activities await. This is a city chock full of distinctive neighborhoods—from hip, socially diverse Capitol Hill to the elegant homes of Queen Anne to salty, Scandinavian-flavored Ballard, a reminder of Seattle's maritime heritage. So come on. Explore the Pioneer Square Historic District. Visit the attractions at Seattle Center. Watch fish being flung at Pike Place Market. Zip to the top of the Space Needle. Above all, drink plenty of coffee—you're going to be busy as you explore this travel destination. Picture it: Urbane Frasier Crane and his equally urbane brother Niles meet at Café Nervosa to sip caffeinated drinks and discuss opera, ballet and the finer points of a good sherry. Interns and residents juggle medical training, grueling work schedules and messy personal lives at Seattle Grace Hospital. Recently widowed Sam Baldwin moves into a houseboat on the west shore of Lake Union. While the coffee shop and the hospital are fictional, the houseboat from the romantic comedy “Sleepless in Seattle” does exist, and “Frasier's” overall ambience—and all those scenes on “Grey's Anatomy” where rain is a backdrop—leave no doubt as to exactly what city you're in. A vivid sense of place is one of the more charming aspects of this Northwestern metropolis, and geography plays a large part in the natural beauty on display. Puget Sound, a deepwater inlet punctuating the northwest Washington coast, not only provides scenic vistas; its indentations create several harbors that contributed to the area's early growth. The Olympic Peninsula's snowcapped mountains frame the western horizon. And to the southeast lies towering, ice-clad Mount Rainier; on clear days it resembles an ethereal image of a massive mountain. These are just three reasons why Seattle's reputation as a city of spectacular views is fully justified. Yes, it can be gloomy (locals will tell you that summer finally arrives on July 4). Yes, it can be rainy (the kind of light but persistent rain that requires a rain jacket but not an umbrella). But the reward for putting up with this is sweet indeed: the azure blue skies, warm sun and low humidity that characterize the glorious days of midsummer and early fall. And Seattle's urban green spaces are delightful. Imagine, for instance, happening on Kinnear Park, a wee stretch of green hugging the southwest slope of Queen Anne Hill. A path winds beneath tall, stately trees. Benches invite you to stop and sit for a while. And there are pretty views of the Elliott Bay waterfront. It's a perfect spot to relax and enjoy nature for a few minutes. “Frasier's” title screen shows a stylized Seattle skyline with an instantly identifiable city landmark. Opened in 1962—just in time for the Century 21 Exposition, more commonly known as the Seattle World's Fair—the Space Needle's futuristic profile remains unmistakable, although five Seattle skyscrapers to date have surpassed its 605-foot height. A trip up to the observation deck for the breathtaking 360-degree panorama is the No. 1 thing on many a tourist's “don't miss” list, so by all means do it. After you've explored Pike Place Market, that is. There's no better place to be early in the morning, wandering among the produce, seafood, craft and flower vendors as they set up shop. Locally grown raspberries and wood ear mushrooms, sourdough cinnamon rolls, whole Dungeness crab, artisan cheeses, Greek yogurt made from locally sourced ingredients: it's foodie heaven. Noise, crowds and the salmon-flinging antics of the fishmongers aside, the soul of the city is right here. Not to mention the amazing places to eat. The market also is the location of the oldest operating Starbucks (1912 Pike Place). It's hard to believe that the global brand of everything from organic beans to specialty brewing equipment had a humble beginning not so long ago—1971 to be exact—as a local coffee roaster. But then again, who can remember life before cellphones and apps? Amazon.com, Costco and Microsoft are just a few of the corporate powerhouses headquartered in the Seattle area. The major north-south route is I-5 from the Canadian border through Seattle to Portland and California. East-west traffic generally follows I-90, which crosses the Cascade Mountains and approaches Seattle over Lake Washington from Spokane and the East. Additional freeway lanes on sections of I-5 and I-90 operate as reversible roadways, inbound during morning hours and outbound afternoons and evenings. SR 520, which becomes the Governor Albert D. Rosellini–Evergreen Point Bridge, runs east-west from I-5 in Seattle to I-405 in Bellevue. I-405 also runs north-south around Lake Washington and connects to I-5, which runs through the city. Seattle is a popular departure point for cruise ships. The ocean-going vessels dock at Pier 66 at Bell Street Pier, downtown on the waterfront and at Smith Cove Terminal (Pier 91) at the north end of the waterfront. Washington State Ferries, Colman Dock (Pier 52) at the foot of Marion Street, link Seattle with the Olympic Peninsula via Bremerton and Bainbridge Island. State ferries also leave Fauntleroy Pier in West Seattle for Vashon Island and Southworth. Service also is available from Edmonds to Kingston and from Point Defiance (Tacoma) to Tahlequah (Vashon Island). Phone (206) 464-6400, or (888) 808-7977 in Washington. Passenger-only ferry service is offered by King County Water Taxi for travel between Pier 50 and either Vashon Island (weekdays only) or West Seattle. Passengers board on a first-come, first-served basis. Phone (206) 4777-3979. Clipper Navigation provides daily round-trip passenger catamaran service between Seattle's Pier 69 and Victoria, British Columbia, and seasonal service to Friday Harbor in the San Juan Islands. For schedule information phone (206) 448-5000 or (800) 888-2535. Seattle's avenues run north and south; they are designated by both numbers and names. Streets, also both numbered and named, run east and west. Most addresses also have area designations—N., S., E., W., N.E., N.W., S.E. or S.W.—that are important in determining correct locations. The portion of downtown south of Denny Way, north of Yesler Way, and west of Melrose Avenue and Broadway has avenues running parallel to Elliott Bay and streets running perpendicular to it. Many downtown streets are one way. Synchronized traffic lights on northbound 4th Avenue and southbound 2nd Avenue make crossing the city easier. The speed limit is 30 mph or as posted. Right turns are permitted at red lights after a complete stop, unless signs indicate otherwise. Rush hours, 7-9 a.m. and 4-6 p.m., should be avoided if possible. Portions of I-5 and I-90 have express lanes that change traffic flow during certain times; be aware of highway signs indicating times and directions. On-street parking in downtown Seattle costs $2-$5 for 1 hour Mon.-Sat. 8-8; the fare is deposited at one of the curbside pay stations. Parking is prohibited on certain streets during rush hours. There are off-street parking lots throughout the downtown area. Parking garages can be found at Pacific Place (on 6th Avenue between Pine and Olive streets), on Stewart Street between 2nd and 3rd avenues, on 6th Avenue between Union and Pike streets, on Pike Street between 5th and 6th avenues and on 5th Avenue between Seneca and Spring streets. Garage rates range $4-$12 for an hour to $20-$36 for a full day. Getting around Seattle and its suburbs without a car is fairly easy thanks to an extensive network of buses, trolleys, streetcars, light rail and even a short monorail line. King County Metro Transit operates a full schedule of bus and trolley service within the Seattle metropolitan area. Metro service is offered daily, with most schedules beginning in the early morning and ending around midnight; some buses run on a more limited schedule. Passengers pay upon boarding and must have exact fare (cash only) or use a reloadable ORCA Card, available online or at the King Street Center (201 S. Jackson St.). Bus fare is $2.75 per ride; $1.50 (ages 6-18); children under 6 with a fare-paying adult ride free. For information phone (206) 553-3000. Sound Transit provides Central Link Light Rail service connecting Angle Lake and the Seattle-Tacoma International Airport with downtown Seattle, Capitol Hill and the University of Washington. The trip from Sea-Tac Airport to the University of Washington station is 44 minutes and includes 13 stops in between. Trains arrive every 6 to 15 minutes Mon.-Sat. 5 a.m.-1 a.m. and Sun. and holidays 6 a.m.-midnight. One-way fares depend on distance traveled, but the maximum fares are $3.25, $1.50 (ages 6-18) and $1 (ages 65+ and people with disabilities). Tickets are available at station vending machines which accept cash or credit cards. ORCA cards also are accepted. For information phone (206) 398-5000 or (888) 889-6368. The Seattle Center Monorail, built for the 1962 Seattle World’s Fair, whisks passengers from the Westlake Center station (5th Avenue and Pine Street) to Seattle Center in Lower Queen Anne in just 2 minutes. Service is offered Mon.-Fri. 7:30 a.m.-11 p.m. and Sat.-Sun. 8:30 a.m.-11 p.m. The one-way, cash-only fare is $2.50; $1.25 (ages 5-12, ages 65+, people with disabilities and active military with ID). For information phone (206) 905-2620. The South Lake Union Streetcar runs between Westlake Center downtown and South Lake Union (Fairview Avenue N. and Campus Drive) with seven stops along the way. It operates on 15-minute intervals Mon.-Thurs. 6 a.m.-9 p.m., Fri.-Sat. 6 a.m.-11 p.m. and Sun. and holidays 10-7. The First Hill Streetcar offers service from Capitol Hill (E. Howell Street and Broadway E.) to Pioneer Square (S. Jackson Street and Occidental Avenue S.) with eight stops along its route through First Hill, Central District, Yesler Terrace and Chinatown. It operates on 10-minute intervals Mon.-Sat. 5 a.m.-1 a.m., Sun. and holidays 10-8. Streetcar fare is $2.25; $1.50 (ages 6-18); $1.00 (ages 65+ and people with disabilities). For information phone King County Metro at (206) 553-3000. State and county sales taxes total 10.1 percent in Seattle. 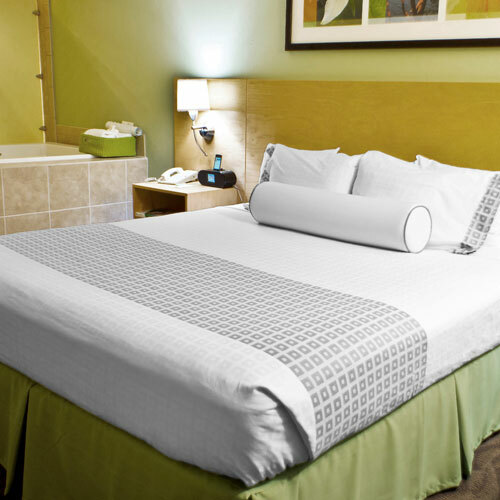 A lodging tax of 10.1 to 15.6 percent is levied along with a 17.8 percent rental car tax. Harborview Medical Center, (206) 744-3000; Northwest Hospital & Medical Center, (206) 364-0500; Swedish Medical Center-First Hill, (206) 386-6000; University of Washington Medical Center, (206) 598-3300; Virginia Mason Medical Center, (206) 223-6600. Seattle-Tacoma (Sea-Tac) International Airport (SEA) is midway between Seattle and Tacoma on SR 99; most scheduled services and international flights use Sea-Tac; phone (206) 787-5388 or (800) 544-1965. King County International Airport/Boeing Field, south of the city, is a smaller airport used by private and charter planes and some regional carriers. Travel sites including AAA.com can help you find vacation packages with cheap plane tickets. Shuttle Express' Downtown Airporter operates express buses daily 24 hours between Seattle-Tacoma International Airport and various downtown hotels. One-way fare is $18; free (ages 0-17 with paying adult). Reservations are required for service from downtown to the airport. Phone (425) 981-7000. Shuttle Express offers door-to-door van or limousine service to and from Sea-Tac within the Seattle-Everett-Tacoma metropolitan area. One-way fares start at $33. For information and reservations phone (425) 981-7000, or (800) 487-7433 in Wash.
Sound Transit's Central Link light-rail line connects the airport with downtown Seattle. Hertz offers discounts to AAA members; phone (206) 903-6260 or (800) 654-3080. Amtrak passenger trains, (800) 872-7245, arrive and depart the King Street Station at 303 S. Jackson St. Amtrak also serves Edmonds, Everett, Tacoma and Tukwila. The Greyhound Lines Inc. station is at 503 S. Royal Brougham Way; phone (206) 624-0618 or (800) 231-2222. Taxis must be contacted by phone or hired while stopped at cab stands. Major companies are Farwest Taxi, (206) 622-1717; Orange Cab, (206) 522-8800; and Yellow Cab, (206) 622-6500. Transportation by bus, trolley, street car, light-rail, monorail and trains is available in Seattle. Two companies provide water transportation within the greater Seattle area and to British Columbia. Every Seattle trip should include a stop at Pike Place Market (spreads out from Pike Street and 1st Avenue). The fishmongers' salmon-flinging antics alone are worth a visit, which makes the gorgeous array of produce, baked goods, prepared foods (a shout-out to the mac 'n cheese at Beecher's) and craft stalls simply icing on the cake when it comes to fun things to do in Seattle. On a clear day, your vacation should include a pilgrimage to the observation deck near the top of the 605-foot Space Needle (400 Broad St.) for the 360-degree panorama of shimmering Puget Sound, the Cascades, the Olympic Mountains and distant Mount Rainier. Admire another city view from the vantage point of little Kerry Park (211 W. Highland Dr.) on Queen Anne Hill: an unobstructed look at Seattle's impressive downtown skyline, with the Space Needle front-and-center. Stroll through Olympic Sculpture Park (2901 Western Ave.), an expansive green space along the Elliott Bay waterfront, and contemplate Louise Bourgeois' thought-provoking fountain “Father and Son.” It's also a peaceful spot to watch a Seattle sunset. Wondering what to do today? For a crash course in local history, take the Underground Tour (608 1st Ave.) in the Pioneer Square Historic District. It's not only fun but educational, and yes—parts of it take place below street level. Take a morning walk on the paved path around Green Lake in Green Lake Park (7201 E. Green Lake Dr. N.), popular with legions of strolling, jogging and cycling Seattleites. Seattle and seafood restaurants go together like yin and yang, so head to Ivar's Acres of Clams (1001 Alaskan Way at Pier 54), one of the favorite local restaurants, and feast on their signature dish—Manila clams and red potatoes bathed in a garlic and white wine butter sauce. Saunter next door and check out Ye Olde Curiosity Shop , a quintessential tourist trap that makes grandma's attic look like a spread in Architectural Digest. Every square inch of space—including the walls and ceiling—is crammed with oddities like Siamese twin calves and shrunken heads, and you can purchase everything from fish candy to fart powder. While away an afternoon in Fremont, the self-proclaimed “center of the universe,” and check out the neighborhood's quirky public art installations like the Fremont Troll (which crouches beneath the north end of the Aurora Bridge). It's the place to be on Sundays when the Fremont Sunday Market brings food trucks, antiques and local treasures to the corner of Evanston Avenue and N. 34th Street. Watch boats navigate the Hiram M. Chittenden Locks (3015 N.W. 54th St.) on the Washington Ship Canal, used by all types and sizes of vessels to negotiate a chain of freshwater lakes to saltwater Puget Sound. Then observe migrating salmon in the Fish Ladder , a stairway that allows them to bypass the locks en route to their spawning grounds. Hop aboard the Washington State Ferry (801 Alaskan Way at Pier 52) to Bainbridge Island and feel the wind on your face as the boat crosses Elliott Bay. The Elliott Bay Book Company (1521 10th Ave.) was a Pioneer Square institution for 36 years before moving to Capitol Hill. The current digs retain the same cedar bookcases, and longtime customers know that this independent store remains one of the city's best places to curl up with a good book. Is there really a Starbucks on every corner? No, but the popular brand has hundreds of outlets in the Seattle area. Indulge in your favorite concoction at Pike Place Market—the oldest operating location for the coffee chain. If you like views with your latte, visit the location on the 40th floor of the Columbia Center (701 5th Ave.). At the award-winning Woodland Park Zoo (5500 Phinney Ave. N.), animal lovers can get nose-to-snout with ocelots, grizzly bears, orangutans and other wild residents, where animals roam in impressive naturalistic habitats. On rainy days, the Zoomazium offers nature-themed indoor activities and climbing structures for tots with extra energy to burn. Other fun places to go include the lush meadows and shaded nature trails at Carkeek Park (950 N.W. Carkeek Park Rd. ), where a giant salmon-shaped slide and views of both the Olympic Mountains and Puget Sound beckon. Curious kids can explore tide pools and hunt for seashells at a small beach area, and little ones will get a kick out of waving to train conductors from an elevated pedestrian bridge over the railroad tracks. One of the most family-friendly spots to spend a day is Seattle Center (305 Harrison St.). When the sun is out, kids can play in the International Fountain and brave the choreographed water jets that burst in time to music. Seattle Children's Museum (305 Harrison St.) offers hands-on, play-based activities and even an art studio. For a thrilling view of the city during your trip, board the Seattle Monorail (picks up next to the Space Needle) and take a quick 2-minute trip to Westlake Center mall. Seattle Center's MoPOP (Museum of Pop Culture) (325 5th Ave. N.) is the place for teens who speak the language of Jimi Hendrix, the Rolling Stones and other music legends. Interactive exhibits give budding musicians a chance to perform on stage in front of a virtual audience or create a recording in a studio. Aviation enthusiasts will find a million things to learn and explore at The Museum of Flight (9404 E. Marginal Way S.), where full-size aircraft and hands-on exhibits explore aviation history. Climb aboard a retired Air Force One 707 jet, or tour the interior of a Concorde supersonic jetliner. The Museum of Flight Tower teaches the basics of air traffic control, and simulators offer flight-ready visitors a chance to pilot a World War I biplane or perform aerial spins in a modern jet. Did you know there are tunnels and sidewalks below the streets of the Pioneer Square Historic District ? Learn this and other Seattle secrets on a guided, 90-minute walking tour with Underground Tour (608 1st Ave.). Hop aboard the Washington State Ferry (801 Alaskan Way at Pier 52) for a scenic trip across Elliott Bay to Bainbridge Island. The 35-minute voyage provides gorgeous views of the skyline and the chance to spot seals, bald eagles and maybe even whales. If stomachs are rumbling, just a short walk from the Bainbridge ferry terminal are many delicious local restaurants, including The Streamliner Diner (397 Winslow Way E.). Try the homemade biscuits with strawberry jam if you arrive in time for breakfast. Twice as tall as the iconic Space Needle, Sky View Observatory (701 5th Ave.) offers a sky-high viewing area with a can't-miss panoramic view of the city. A series of high-speed elevators will whiz you up to the 73rd floor, where you'll look down on CenturyLink Field and the Needle—a unique viewpoint to enjoy during your Seattle vacation. On windy days, the grassy hill at Gas Works Park (2101 N. Northlake Way) provides the perfect spot for kite flying, a favorite outdoor pastime among Seattleites. Views of the downtown skyline from across Lake Union are stunning, and the park's towering, rusting machinery—the 1950s remains of a manufacturing plant originally built to convert coal to gas—makes for some cool photographs. Rain or shine, there is something for everyone at Pike Place Market (Pike Street and 1st Avenue). Dodge fish thrown through the air in the outdoor fish market, or snap a picture with Rachel, the 550-pound bronze piggy bank known as the market's unofficial mascot. Other kid-friendly curiosities include a magic shop; toy stores; and a brick wall covered entirely in chewing gum. Shopping at Pike Place Market is flat-out fun and a must for every vacation in Seattle. Yes, it’s touristy. Yes, it can get crowded (especially on Saturday and most other days beginning around 11 a.m. until 2 or 3). Yes, street parking is practically nonexistent (the Pike Place Market Parking Garage at 1531 Western Ave. is your best bet if driving). Yes, it helps to know where the restrooms are (in the Sanitary Market and on the downstairs level at the north and south ends of the Main Arcade). But these are minor inconveniences in the face of bountiful pleasures and all the fun things to do. Pike Place Market is browsing heaven. The sights, the smells, the sidewalk musicians, the seafood-tossing fishmongers, the places to eat and the ambling crowds all make it a sensory experience of the highest order. Those in the know go early on a weekday morning when the vendors are setting up. A map and directory from the Market Information Booth (on 1st Avenue and Pike Place just east of the neon sign) will help you navigate the mazelike layout of the market. Fruit, vegetables and flowers are market mainstays, and locally grown so they change with the seasons. Corner Produce and Frank’s Quality Produce (in the Corner Market building near 1st Avenue and Pike Place) are known for offering free samples of mouthwatering peaches, berries or whatever else is in season to passersby. The goods at local restaurants Three Girls Bakery (1514 Pike Pl.) are divine, as are the paper sacks full of hot, fresh mini doughnuts from Daily Dozen Doughnut Co. (93 Pike St.). One of only two national retailers in the market, Sur La Table ’s flagship store (84 Pine St.) offers top-of-the-line cooking supplies and kitchenware. (The other national retailer in Pike Place Market is Starbucks at 1912 Pike Pl., the oldest Starbucks in operation.) Nearby is another popular market mainstay— Beecher’s Handmade Cheese (1600 Pike Pl. ), where a glass-walled kitchen allows visitors to watch as cheesemakers stir giant vats of cheese curds. Explore the specialty shops “DownUnder” (on the lower floors of the Main Arcade) where you’ll find everything from stacks of books (Lion Heart Book Store) to comics (Golden Age Collectables) to vintage posters and prints (Old Seattle Paperworks). Other interesting shops and fun places to go are located near the market on 1st Avenue, including Metsker Maps (1511 1st Ave.), a haven for map lovers and geography enthusiasts. Hard Rock Cafe (116 Pike St.) has a variety of rock 'n' roll souvenirs and music memorabilia. If a good old-fashioned tourist trap sounds right up your alley, head to Ye Olde Curiosity Shop (1001 Alaskan Way at Pier 54). In business since 1899, this shop bills itself as a museum, but shrunken heads, prehistoric elephant tusks and the Lord’s Prayer engraved on a grain of rice all play second fiddle to the merchandise: a hodgepodge of gag gifts, tchotchkes, Native American art and nautically themed collectibles to share with all your friends back home after your travel. Seattle’s downtown retail core is between 3rd and 7th avenues and Pine and University streets. This is where you’ll find major department stores like Macy’s and Nordstrom (the Seattle location is the brand's largest), familiar names like Old Navy and Gap, and a couple of upscale shopping complexes. The four levels at Pacific Place (6th Avenue and Pine Street), offer the usual mix of retailers selling men’s and women’s apparel, shoes, jewelry and gifts. There are more stores and nearby restaurants at Westlake Center (400 Pine St. between 4th and 5th avenues). For shopping toward the luxury end of the scale—Brooks Brothers, Louis Vuitton and so forth—try Rainier Square (5th Avenue and University Street). Just south of downtown, the International District is home to some unique shops. The Yummy House Bakery (522 6th Ave. S., look for the yellow sign) has all kinds of “Hong Kong-style” cakes and pastries, including squares of feather-light sponge cake—usually sitting on a tray on top of the order counter—egg tarts and a variety of bubble teas. For a one-stop Asian shopping immersion experience, the place to go is Uwajimaya (600 5th Ave. S.). It’s a combination grocery, gift and housewares emporium with lots of unusual items. Two Seattle neighborhoods—Capitol Hill and Fremont—are funky shopping destinations. The shops along Broadway reflect Capitol Hill’s friendly but edgy vibe. Avid readers will want to check out The Elliott Bay Book Company (1521 10th Ave.) during their trip. The independent bookseller’s creaky wood floors, comfy chairs and cedar bookcases make it the perfect place to curl up with a good book. North of Lake Union, compact Fremont is ideal for strolling and has a wide variety of shops. You'll discover mid-century furniture, collectibles, records and all sorts of memorabilia at Fremont Vintage Mall (3419 Fremont Pl. N.). Portage Bay Goods (621 N. 35th St.) offers Seattle-inspired gifts, kids' clothing, art and stationery. Nearby is Ophelia's Books (3504 Fremont Ave. N.), where bibliophiles hunt for used treasures. The busiest shopping day in Fremont each week is Sunday, when the Fremont Sunday Market brings food trucks, antiques and local treasures to N. 34th Street near Evanston Avenue N., rain or shine. Another popular weekend destination is the Ballard neighborhood, where boutiques, shops and restaurants abound. Bop Street Records (2220 N.W. Market St.) has more than 500,000 records in stock from the 1920s to the 1990s. The Ballard Farmers Market takes place on Sundays year-round on Ballard Avenue N.W. (between Vernon Place N.W. and 22nd Avenue N.W.). If you don’t consider a shopping trip complete without hitting at least one mall, make it University Village (N.E. 45th Street and 25th Avenue E.), especially on a sunny day. This outdoor shopping plaza, sprinkled with fountains and animal sculptures, offers familiar stores like Pottery Barn, Banana Republic, Williams-Sonoma and RH Gallery. 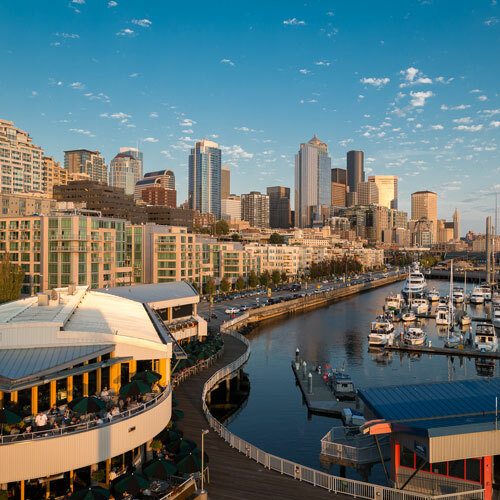 Whether your idea of nightlife at your travel destination is listening to live music at a rowdy venue, sipping cocktails at a cozy bar or watching the sunset from a scenic overlook, Seattle delights with a wide variety of offerings. For deep discounts on food and drink, you can’t go wrong with Seattle’s weekday happy hours in the downtown area. Many local restaurants and bars offer specials beginning as early as 3 p.m., which means you can fuel up before a night of fun for a lot less money. Kells Irish Restaurant & Pub , near Pike Place Market at 1916 Post Alley, has a jolly atmosphere, an outdoor patio and live Irish music nightly beginning around 9; phone (206) 728-1916. Just across Post Alley, the lounge at The Pink Door (1919 Post Alley) offers live entertainment and fun things to do every night of the week, including a burlesque show on Saturday at 11 p.m. (cover charge is $25 and reservations can be made online); phone (206) 443-3241. The Triple Door (downtown at 216 Union St., across from Benaroya Hall) features live music (mainly jazz and blues) in The Musicquarium Lounge and the Mainstage, a sleek, snazzy 300-seat theater. For hungry patrons who wonder where to eat, The Triple Door serves food from the upstairs Wild Ginger Asian Restaurant & Satay Bar . Phone (206) 838-4333 for The Triple Door. Well-known rockers and hip-hoppers play at The Showbox (1426 1st Ave.); phone (206) 628-3151. The Crocodile (in Belltown at 2200 2nd Ave.) books local and national indie bands as well as a sprinkling of bigger names in a standing-room-only venue; phone (206) 441-4618. One of the top jazz clubs on the West Coast, Dimitriou’s Jazz Alley Restaurant & Nightclub (2033 6th Ave.) books big-name acts in a supper club setting. You can have dinner here—the food is pretty good, albeit pricey—or opt to find other places to eat and just see the show (in which case seating is on a first-come, first-served basis). Reservations are recommended; phone (206) 441-9729. Low lighting and an understated alleyway entrance give Bathtub Gin & Co. (2205 2nd Ave.) a speakeasy feel. Mixologists whip up superb Old Fashioneds and other cocktails at this local favorite. To find it, look for the wooden door in an alley off Blanchard Street between 1st and 2nd avenues; phone (206) 728-6069. The Capitol Hill neighborhood has some cool dive bars and late-night hangouts. The Cha Cha Lounge (1013 E. Pike St.) has a great atmosphere: red lighting, sombreros hanging from the ceiling, disco balls and flashy lucha libre (Mexican wrestling) paraphernalia everywhere. The crowd tends to be young and painfully hipster. It’s in the basement of Bimbo’s Cantina; just take the stairs down; phone (206) 322-0703. If you're looking for some fun things to do with friends, the low-key atmosphere at Tavern Law (1406 12th Ave.) is perfect for a quiet drink. Skilled bartenders whip up all sorts of custom cocktails here, from a classic Manhattan to concoctions made with egg whites and lavender. An intimate upstairs bar called Needle and Thread admits guests by reservation only; phone (206) 322-9734 for Tavern Law and (206) 325-0133 for Needle and Thread. If you lean toward the twangy side of rock, head to the Ballard neighborhood and the Tractor Tavern (5213 Ballard Ave. N.W.). The atmosphere is bare bones and the beer comes in plastic cups; this is first and foremost a place to watch alt-country, rockabilly and roots rock bands, with a good view of the stage from every spot in the room; phone (206) 789-3599. The Sunset Tavern (5433 Ballard Ave. N.W.) is more unruly: you’re cramped and crowded but close to the action, and the bands rock out more (the Sunset supports new and local talent). Don’t come here if you’re looking for a mellow evening. Phone (206) 784-4880. In Fremont, the High Dive (513 N. 36th St.) is yet another club with shows practically every night—mostly local bands looking to establish themselves—and the cover charge is almost always under $10. Admittance to shows is 21 and over; phone (206) 632-0212. Get a laid-back start to your evening hanging out at the Fremont Coffee Company (459 N. 36th St.). It occupies a rambling old house with a wraparound porch, back deck and several rooms filled with comfy chairs. The barista will create awesome foam art to grace the surface of your latte. It closes at 8 p.m.; phone (206) 632-3633. And what if you just want peace, quiet and a beautiful setting? Watching the sun drop behind distant mountains at Olympic Sculpture Park , 2901 Western Ave., is a simple yet deeply rewarding pleasure. Or claim a spot at dusk along the wall in little Kerry Park and marvel as the Seattle skyline starts to light up. The Sky View Observatory on the 73rd floor of the Columbia Center at 701 5th Ave., offers another option for watching the sunset (with an entrance fee). The observatory's Sky View Café is a great stop for any trip and stays open until 7 p.m., with local beers to sip while you watch the sun dip down. Seattle Center is the cultural focus of metropolitan Seattle. Marion Oliver McCaw Hall is the headquarters of the Seattle Opera, which presents several opera productions during its August through May season; phone (206) 389-7676 or (800) 426-1619. Pacific Northwest Ballet also performs at McCaw Hall, with six productions during its September through June season; phone (206) 441-2424. The Seattle Symphony plays at Benaroya Hall, on 2nd Avenue between Union and University streets. Nearly 200 concerts take place between September and July, and these are all fun things to do with friends. Family concerts, recitals and other musical events also are offered. If your travel falls on the right day of the month, you can enjoy a tour of the building; phone (206) 215-4747 or (866) 833-4747 for ticket information, or (206) 215-4856 for tour information. Bagley Wright Theatre at Seattle Center houses the nationally acclaimed Seattle Repertory Theatre, which presents plays from early September through early May; for curtain times phone (206) 443-2222 or (877) 900-9285. Book-It Repertory Theatre presents adaptations of classic and contemporary literature at various Seattle Center stages; phone (206) 216-0833. Other fun places to go include The 5th Avenue Theatre, 1308 5th Ave., for Broadway shows; phone (206) 625-1900. Traveling shows, comedians and popular recording artists (everything from teen pop to hard rock) take the stage at the historic Paramount Theatre, downtown at 911 Pine St., the Moore Theatre, 1932 2nd Ave., and the Neptune Theatre, 1303 N.E. 45th St. Phone (206) 682-1414 for all three theaters. Popular with summer playgoers are A Contemporary Theater (ACT) at 700 Union St., phone (206) 292-7676; and the Intiman Theatre at 201 Mercer St., phone (206) 441-7178. Summer brings open-air concerts to the Woodland Park Zoo, the White River Amphitheater in Auburn, Chateau Ste. Michelle Winery in Woodinville and Marymoor Park in Redmond. The Seattle Weekly website has information about additional travel spots, places to eat and things to do this weekend in Seattle. The NFL's Seattle Seahawks play football at CenturyLink Field, 800 Occidental Ave. S. This also is the venue for Seattle Sounders major league soccer games; going to a Sounders game is almost a rite of passage for many Seattleites and is one of the most fun things to do in Seattle for sports fans. Major league baseball is represented by the Seattle Mariners, who play at T-Mobile Park (formerly Safeco Field); the 47,898-seat stadium with a retractable roof is at First Avenue S. and S. Atlantic Street. The Seattle Storm plays WNBA basketball in KeyArena at Seattle Center. The Seattle Thunderbirds hockey team takes to the ice at the ShoWare Center in Kent. Area college teams participate in all major sports. Boating can be enjoyed on freshwater Lake Washington, saltwater Puget Sound or both, thanks to the locks and canal connecting the two. A multitude of marinas provides moorage facilities. Any type of craft can be rented, from small sailboats or canoes to large seagoing yachts. Cast your fishing line from piers at Green Lake and Lake Washington, in county parks and at area lakes and streams. Pier 86 on Elliott Bay is a public fishing pier. The Washington State Department of Fish and Wildlife, phone (425) 775-1311, is the best source for freshwater license requirements and information. Spot Tail Salmon Guides offers private salmon fishing and saltwater fly-fishing trips daily; phone (206) 295-7031. Charters for Puget Sound or deep-sea fishing off the coast can be arranged. White-water rafting, float trips and bald eagle sightseeing tours are offered on rivers in the Cascades and Olympics. The season for white-water rafting is April through September; bald eagle sightseeing tours take place December through February. Rates vary, but the average fee for a full-day guided trip is normally $60-$100. 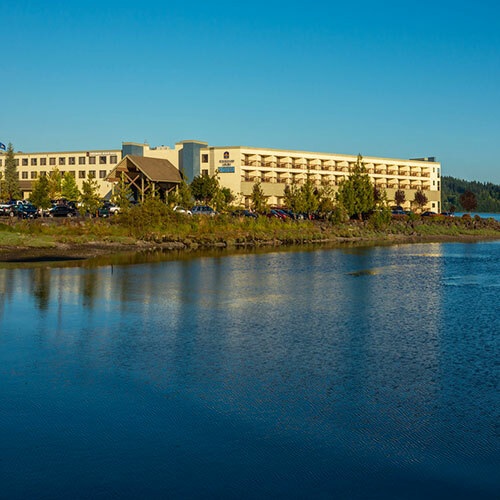 Reservations for trips can be made through the following agencies: River Recreation, Inc., (206) 276-8774 or (800) 464-5899; Riverrider.com, (206) 668-7238 or (800) 448-7238; and Rivers Inc., (425) 822-5296. Lake Union is conveniently located for kayaking. Northwest Outdoor Center, on the lake, rents kayaks and organizes tours; phone (206) 281-9694. Moss Bay Row, Kayak, Sail & Paddle Board Center rents kayaks and paddleboards year-round; phone (206) 682-2031. Alki Kayak Tours offers guided sea kayaking trips from Pier 66 at the downtown waterfront and from West Seattle; phone (206) 953-0237. Looking for things to do in summer? The saltwater beaches at Alki Gardens and Golden Gardens and the freshwater beaches along Lake Washington and Green Lake are suitable for summer swimming and scuba diving. Within the city are some 90 miles of signed bicycling routes and another 30 miles of bike-pedestrian trails. The free Seattle Bike Map details Seattle's extensive network of bike lanes and trails as well as streets commonly used by bikers. The map is available at area bike shops, branches of the public library, from the City Transportation Department and from the Cascade Bicycle Club; phone (206) 522-3222. The Burke-Gilman Trail, designed for bicycling and hiking, extends 20 miles from 11th Ave. N.W. and Leary Way to Tracy Owen Station Park at 73rd Avenue N.E. and SR 522 and from N.W. 54th St. and 30th Ave. N.W. to Golden Gardens Park. The longer section of the trail skirts the University of Washington campus and offers good views of the area. North of Lake Washington it connects with the Sammamish River Trail, which then continues another 12 miles to Marymoor Park. One of Seattle's most popular bike paths is the nearly 3-mile paved trail encircling Green Lake. There are separate lanes for cyclists and pedestrians. Many other bike routes connect with city parks or run along the waterfront. Lake Washington Boulevard is closed to motorized traffic (and open to bikes) on some Sundays from 10-6, mid-May to mid-September. Bikes can be rented at the Montlake Bicycle Shop, 2223 24th Ave. E., phone (206) 329-7333, and at Recycled Cycles, 1007 N.E. Boat St., phone (206) 547-4491. Miles of hiking and horseback riding trails are located in nearby mountain and forest areas. The U.S. Forest Service, phone (206) 470-4060, can provide information about trails. Within a 1- or 2-hour drive are numerous venues for mountain climbing, skiing and other adventure travel activities. Guided trips to the summit of Mount Rainier, including instruction in this challenging sport, can be arranged. Major ski areas and resorts are mentioned under the place listings for Snoqualmie Pass, Skykomish and Crystal Mountain. Golf courses, driving ranges and pitch and putt courses are plentiful. Some private clubs extend reciprocal privileges to visitors who are members of certain out-of-town golf clubs. The Seattle Parks and Recreation Department operates four 18-hole courses; phone (206) 684-2489 or (206) 684-4075 for information. Fans of automobile racing have their choice of two major raceways: Pacific Raceways in Kent, phone (253) 639-5927, and Evergreen Speedway in Monroe, phone (360) 805-6100. Racing schedules vary. Visitors looking for fun things to do and fun places to go can tour Seattle's eye-catching, glass-and-steel Seattle Central Library , at the corner of Fourth Avenue and Madison Street. The futuristic building, designed by Rem Koolhaas, features stunning glass curtain walls supported by a diamond-shaped grid, cantilevered platforms jutting from a central structure and a soaring nine-level atrium. Self-guiding tour maps and brochures are available at the welcome desk and make it easy to add this stop to your trip. Phone (206) 386-4636. Learn about architecture, design and other urban issues at the Seattle Architecture Foundation , downtown at 1010 Western Ave. in the Center for Architecture and Design. The foundation offers guided, 2-hour themed walking tours that depart at 10 a.m. some Thursdays, Fridays, Saturdays and Sundays, late April through December. If you know when your vacation is planned, advance reservations are advised. Have your AAA travel agency book you a tour. Phone (206) 667-9184. The Tillicum Excursion tour offered by Argosy Cruises provides passage across Elliott Bay and Puget Sound to Blake Island Marine State Park, where passengers can visit Tillicum Village. Tours Northwest offers 3-hour narrated, interactive mini-coach tours of the city's highlights and spots you must see while you travel, including the waterfront, Pioneer Square, Ballard Locks and various neighborhoods. 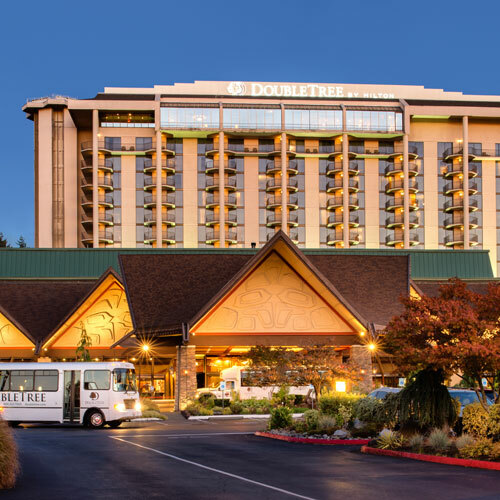 Door-to-door service is provided from downtown Seattle, Bellevue, SeaTac and Tukwila hotels; phone (206) 768-1234 or (888) 293-1404 for more information. Show Me Seattle offers guided 2.5-hour culinary and cultural walking tours of the Belltown and Pike Place Market neighborhoods, exploring cuisine, history, architecture and public art as well as shopping and entertainment venues along the way. In addition to enjoying a variety of mouthwatering market goodies during the tour of Pike Place Market, you'll find out how to select fresh fish and when seasonal produce is at its best. Kenmore Air Scenic Flight Tours , 950 Westlake Ave. N., offers sightseeing flights via seaplane from downtown Seattle's Lake Union. Flights last approximately 20 minutes. Departures to San Juan Island and Victoria, B.C., also are scheduled daily. Phone (425) 482-2222. Several companies also offer sightseeing flights of the area departing from Renton, at the south end of Lake Washington. Chinatown Discovery Tours, offered by the Wing Luke Museum of the Asian Pacific American Experience, includes a program and a leisurely guided walking tour of Seattle's Chinatown/International District. For information and reservations phone (206) 623-5124. Three days is barely enough time to get to know any major vacation destination. But AAA travel editors suggest these activities to make the most of your time in Seattle. Spend the morning at Pike Place Market . This famous market, which spreads out from the corner of Pike Street and 1st Avenue, celebrated its centennial in 2007, and it’s quite likely to be around another 100 years from now. It's the best place in Seattle to meet a friend (the traditional spot is under the neon “Public Market Center” sign) and then wander around looking, smelling, tasting and buying. If you arrive early (before 8 a.m.) you can banter with the vendors while they're setting up and get first pick at the produce and flower stands. Follow your nose to Daily Dozen Doughnut Co. (93 Pike St.) and Three Girls Bakery (1514 Pike Pl.) and unsuccessfully resist the urge to pick up some mini maple bacon donuts or gooey cinnamon buns to go. Definitely check out the specialty food vendors. Beecher's Handmade Cheese (1600 Pike Pl.) makes a tasty grilled cheese panini with tomato and basil; Uli's Famous Sausage (1511 Pike Pl. ), a classic bratwurst slathered with mustard. Homemade soaps, handcrafted jewelry and souvenir trinkets? You'll find them all here. If you can't tear yourself away from the market (and it's hard), have brunch or an early lunch on the outdoor patio at Cafe Campagne (1600 Post Alley). Order the quiche of the day or a croque-monsieur, a ham and Gruyère cheese sandwich served on crusty French bread, and you'll think you're in a Parisian cafe. From the main market entrance, walk down 1st Avenue two blocks to the Seattle Art Museum . The 48-foot-tall “Hammering Man,” a black steel sculpture, stands guard outside the entrance, his arm raising and lowering four times a minute every day of the year except Labor Day. SAM's galleries often mix media, concepts, centuries and artists in the same room. Tip: Admission is free the first Thursday of the month. On a clear day, you can't beat the sweeping views from the Sky View Observatory , on the 73rd floor of the Columbia Center. Take the speedy elevator to the top and admire magnificent views of downtown, Elliott Bay, the Cascade and Olympic mountain ranges and even the Space Needle. If the Space Needle is on your bucket list, you’re not alone—a visit to the futuristic-looking structure is the No. 1 touristy thing to do in this city and on the top of the list of fun things to do in Seattle. You could easily fill an afternoon exploring the other offerings scattered around the grounds of the Seattle Center , which include Dale Chihuly's glass creations at Chihuly Garden and Glass and music-focused exhibits at MoPOP (Museum of Pop Culture) . Seattle and seafood go together like yin and yang, so fresh dinner options are aplenty. A popular place for seafood is Ivar's Acres of Clams , on the waterfront at Pier 54 (1001 Alaskan Way). Consult the daily fresh sheet to see what looks good, but you can't go wrong with the Dungeness crab salad, fish and chips or the deservedly popular clam chowder, brimming with clams, potatoes and bits of bacon. If it's nice outside, order from the Fish Bar walk-up window and sit at one of the picnic tables. Another spot for good seafood is across the bay at Salty’s on Alki Beach (1936 Harbor Ave. S.W. in West Seattle). The restaurant's menu includes local, regional and seasonal specialties, and the view from the dining room—with three walls of windows overlooking Elliott Bay and the city skyline—can't be beat. The most scenic way to get to West Seattle is aboard the King County Water Taxi, a passenger-only ferry which makes the trek across the bay in just 15 minutes. Finish off the night in Capitol Hill, one of Seattle's hippest, most socially diverse neighborhoods. Nightlife options abound here. Dozens of bars and clubs line E. Pike and Pine streets, the district's main thoroughfares. Grab a cold one at Capitol Cider (818 E. Pike St.), where you’ll find dozens of hard ciders on tap and even more in a bottle. The basement level has another bar along with board games and live entertainment on some nights. For fancier drinks, head to Tavern Law (1406 12th Ave.), a cocktail lounge with an intimate, speakeasy feel. Have breakfast at Lola , a local favorite with the brunch crowd. Start with the made-to-order doughnuts—they’re served with seasonal jam and vanilla mascarpone—and then tackle “Tom’s Favorite Breakfast,” a dish with Mediterranean octopus, butternut squash, kale, maple yogurt and a sunny-side-up egg. Your next stop is the Pioneer Square Historic District . This was Seattle's first downtown, before an 1889 fire demolished the mostly wooden buildings. Today the district encompasses a 30-block area that is rich with history and Romanesque-style architecture. Relax on a bench in tiny, tree-shaded Pioneer Square Park (100 Yesler Way), then explore the neighborhood on a guided Underground Tour . You'll learn all sorts of fascinating facts about Seattle’s history, including information about opium dens, bootleg operations and the city’s once-primitive sewer system, plus you’ll get to check out a series of subterranean sidewalks and abandoned turn-of-the-20th-century storefronts. Be prepared for plenty of bathroom humor and puns on this tour. After sightseeing on foot, spend the afternoon sightseeing by boat. Argosy Cruises offers a narrated, 1-hour Harbor Cruise that is great for group travel and takes you along the city’s waterfront and past shipyards for spectacular views of the skyline. If a longer journey is in order, hop aboard the Washington State Ferry (801 Alaskan Way at Pier 52) and cruise to Bainbridge Island . The 35-minute trip across Elliott Bay is a popular activity for tourists, and once you reach the island there are dozens of shops, cafes and wineries to explore. Consider renting a bicycle on the island if you’re up for an adventure; bike shops are located near the Bainbridge Island Ferry Terminal. Hopefully you’ve worked up an appetite and are ready for a seriously delicious meal at Serious Pie Downtown . Frequently appearing on lists of the “Best Pizza in Seattle”, this casual local restaurant uses an applewood-fired brick oven to create its signature light and crispy crusts. Pie toppings are seasonal and include clams, sweet fennel sausage, roasted mushrooms and truffle cheese. Dive into the city’s thriving music scene at a local venue. The Crocodile has welcomed Nirvana, Yoko Ono and Pearl Jam to its stage since opening in 1991 and continues to book standing-room-only shows most nights of the week. The Showbox is another popular downtown venue for national and international bands. Make the short trek to Ballard, a hip enclave in the northwest part of the city, for breakfast at Portage Bay Cafe Ballard . You’ll want to arrive early on weekends or be prepared for a short wait, as this place fills up fast. Locally sourced, organic ingredients are the focus here, with tasty options like smoked salmon benedicts, huevos rancheros or an egg sandwich made with prosciutto and fig jam. Order pancakes or French toast and you’ll have your pick of seasonal fruit, nuts or whipped cream from the toppings bar. Once adequately fueled, take a leisurely walk down N.W. Market Street to the Hiram M. Chittenden Locks . Watching vessels of all shapes and sizes pass through the navigation locks during your trip is a fascinating right-of-passage for Seattleites and visitors alike. Walk across the canal dam and you’ll reach the Fish Ladder , an ingenious structure that helps salmon swim at a gradual incline to their upstream spawning grounds. A viewing gallery with windows allows you to observe the underwater activity up-close. Fremont is a delightfully idiosyncratic neighborhood that bills itself—with tongue only slightly in cheek—as “the center of the universe.” All joking aside, it’s a nice place to spend an afternoon, especially on Sundays when the bustling Fremont Sunday Market sets up shop. The compact neighborhood is ideal for strolling and features plenty of quirky sidewalk art and fun things to do. For starters, check out the six statues that constitute “Waiting for the Interurban” (N. 34th Street and Fremont Avenue N.), a 16-foot bronze sculpture of communist revolutionary Vladimir Lenin (N. 36th Street and Fremont Place N.) and the Fremont Rocket (N. 35th Street and Evanston Avenue N.). Perhaps the most well-known quirky piece of art is the Fremont Troll , a crouching 18-foot-tall statue hiding under the north end of the Aurora Bridge at Troll Avenue N. (N. 36th Street). It’s a fun photo spot, especially for kids. A long day of walking and sightseeing calls for a relaxing night at one of Seattle’s upscale local restaurants. Soak up stunning views of the Elliott Bay waterfront from your table at Six Seven , where boats nearly hit the windows as they pass by. The menu features creative seafood dishes and Pacific Northwest cuisine. Or, make your way to The Pink Door , located behind an unmarked door—pink, of course—on Post Alley near the downtown waterfront. Choose to dine indoors (where the mood is romantic and cozy) or out on the patio and enjoy Italian-American specialties and a nice glass of wine. Nightly entertainment at The Pink Door is varied and lively, with trapeze artists, jazz ensembles and a Saturday night burlesque show among the offerings. In a city with dozens of attractions and fun things to do, you may have trouble deciding where to spend your time. Here are the highlights for this destination, as chosen by AAA editors. If there is one destination that encapsulates Seattle (and should be included in every vacation), it's Pike Place Market . A city landmark for more than a century, the market started out as a place for farmers to sell their products and was a key source of cheap food during the Great Depression. The bedrock enterprises—a year-round farmers market and crafts arcade—remain, but you'll also find ethnic groceries, local restaurants, bakeries, meat and seafood stalls, bookstores and specialty shops. One bit of planning advice: The Market Garage at 1531 Western Ave., just down the hill from Victor Steinbrueck Park, is a convenient place to park. Museums to visit during your travel? Seattle has a bunch of them. The Museum of Flight has an aircraft collection that includes early examples like the Lilienthal 1893 Glider—a contraption with curving, batlike wings that predated the Wright Brothers' first efforts—as well as more recent technological advancements (check out the sleek Concorde jetliner). The museum also is the permanent home of NASA's Space Shuttle Trainer, used by every shuttle astronaut. At the Seattle Art Museum , exhibits are organized thematically rather than chronologically, with airy, track-lit galleries offering a captivating mix of everything from African pottery and masks to Native American carved glass to Persian wall hangings. There are masterpieces everyone should see during their trip, like Anthony van Dyck's “Pomponne II de Bellièvre” and Albert Bierstadt's “Puget Sound on the Pacific Coast,” a Japanese Crow screen and almost 1,000 pieces of porcelain. The museum's iconic “Hammering Man”—a towering black mechanical sculpture complete with movable arm—presides over the 1st Avenue entrance. Switch gears from the artistic to the musical and find fun things to do with friends at MoPOP (Museum of Pop Culture) , on the grounds of Seattle Center . The museum salutes all things visionary with exhibit galleries exploring science fiction, popular culture and music, with videos, interactive displays and memorabilia. Rockers will want to pay their respects to Seattle-born Jimi Hendrix, whose pioneering blend of blues and psychedelia and awesome guitar mastery revolutionized pop in the late '60s. The amazing glass sculptures created by Dale Chihuly are showcased in special exhibitions around the world, but it's a real treat to be able to view the artist's work in his own back yard (Chihuly is a Tacoma native). Chihuly Garden and Glass , on the Seattle Center grounds, features a spectacular collection of glass art; among the many highlights is a suspended, 100-foot-long explosion of red, yellow, orange and amber flowers. Looking for things to do this weekend? The Emerald City is a particularly apt nickname for Seattle, and its botanical riches can be enjoyed at many area parks and gardens. Volunteer Park , in the Capitol Hill neighborhood, is Seattle's most elegant green space, an expanse of formal gardens, glass-surfaced ponds, and noble cedars and spruces surrounded by fine old mansions. Cactuses, orchids and tropical vegetation grow in the steel and cast-iron Volunteer Park Conservatory . The Washington Park Arboretum spreads south from Union Bay, encompassing 200 wooded acres and thousands of species of trees, shrubs and flowers from the Pacific Northwest and around the world. It looks simultaneously manicured and wild, and there's beauty in every season. Water, of course, plays an instrumental role in past and present Seattle history. Ballard's Hiram M. Chittenden Locks are located on the Lake Washington Ship Canal, which connects saltwater Puget Sound with the freshwater network formed by Salmon Bay, Lake Union, Portage Bay, Union Bay and Lake Washington. “Seattle's ditch” opened in 1917 and is still among the nation's busiest. The nearby Fish Ladder enables sockeye, chinook and coho salmon to swim on a gradual incline as they migrate to their spawning grounds in upstream creeks and rivers. Perhaps one of the most conventionally touristy things to do in Seattle is trek to the top of the Space Needle . Its futuristic space-age look was conceived as a symbolic icon for the 1962 World's Fair. The kind of place longtime residents pay little attention to but first-time visitors should not miss, it offers a breathtaking 360-degree panorama from the observation deck at the 520-foot level; telescopes installed on the outside walkway intensify the views. Another tourist favorite is the Woodland Park Zoo . Bears, river otters and bald eagles are among the inhabitants of Northern Trail, which replicates a harsh cold-weather environment, while the elephants of Tropical Asia and the jaguars, gorillas, monkeys and lemurs of the Tropical Rain Forest are accustomed to more comfy temperatures. See all the AAA recommended attractions for this vacation destination. Our favorites include some of this destination's best local restaurants—from fine dining to simple fare. Foodies will feel right at home in Seattle, where a number of downtown restaurants attract loyal regulars as well as visitors up for a good meal in stylish surroundings. A hip clientele frequents the Wild Ginger Asian Restaurant & Satay Bar , where the menu features an eclectic potpourri of Asian influences. Free-range duck spiced with cinnamon and star anise is a house specialty. The Seven Flavor Beef, marinated with lemongrass, chilies, peanuts, ginger and other spices, is another popular dish. The Triple Door lounge beneath the restaurant has a nightly menu of live music. The dining room in the Metropolitan Grill impresses with high ceilings, mahogany tables and dark green, brass-accented booths, making it one of the popular places to eat after work for downtown suits as well as the theater crowd on big event nights. The “Met” focuses on classic cuts like filet mignon, delmonico and porterhouse, carved tableside. California ranch-raised, Kobe-style Wagyu beef will up the tab considerably, but at lunch and during weekday happy hours you can order the less expensive Wagyu burger, topped with cheddar and Swiss cheeses, caramelized onions and a special sauce. Local “best steakhouse” articles usually have this one on their list. Across from the Seattle Art Museum and Benaroya Hall is another one of Seattle's nearby restaurants— The Brooklyn Seafood, Steak & Oyster House . Go all out with steak Oscar—prime sirloin, Dungeness crab and asparagus with rich béarnaise sauce, accompanied by a tower of cheddar potatoes. Oysters are the seafood specialty here, with as many as a dozen different varieties to entice adventurous palates. The Brooklyn also offers crab cakes, Penn Cove mussels, grilled octopus and other items as reasonably priced small plates, as well as an extensive wine list and an interesting selection of microbrews. It's a given that Seattle is a seafood kind of city, and a couple of restaurants on the downtown waterfront fill the maritime bill nicely. The oyster bar is a big draw at Elliott's Oyster House , a noisy, energetic place full of fun things to do that sits right on Elliott Bay at Pier 56. Northwest Dungeness crab is a tradition here, and you can get it steamed with butter, chilled with three dipping sauces or marinated in spices and grilled. The pastry chef whips up delights like chocolate lava cake with spiced cherry sauce. Take advantage of the outside deck in summer. Not far away is another landmark, Ivar's Acres of Clams , which has served the waterfront area since 1938. If you're having dinner, go for the “acres of clams”—two pounds of Manila clams simmered with Yukon potatoes in a garlic and white wine butter sauce. Their Fish Bar walk-up service counter does a brisk business in chowders (New England-style clam and Dungeness crab and sweet corn), and a newly renovated outdoor dining area is the perfect spot to enjoy your bowl with a view. Some Seattle foodies swear that The Walrus and the Carpenter , a very popular watering hole in Ballard, has the best oyster bar in the city. The menu changes daily, but freshly shucked oysters can always be counted on. Wolf them down with toasted bread and butter. The menu consists of small plates, so this is a place to go with a big group, sharing and sampling. Fish and shellfish predominate, but there's also steak tartare and vegetarian options. Cocktails are creatively prepared—and strong. Yes, it's hipsterish; yes, it's pricey; yes, it's small and cramped (although in a cool, shabby-chic way); yes, it's hard to get a table (reservations are not taken, and there's always a line). But if you love briny-fresh oysters and fun things to do with friends while you travel, you really need to go. The Dahlia Lounge has the sort of warm, romantic atmosphere favored by both the business crowd and couples seeking a special experience. Multi-tasking owner Tom Douglas is credited with helping develop the concept of Pacific Rim cuisine associated with the Northwest. The menu changes daily to take advantage of the seasons. Roasted five-spice duck served with broccoli and stone fruit jelly and Dungeness crab cakes are menu favorites. Don't skimp on dessert; the hefty slice of coconut cream pie and the made-to-order doughnuts are divine. The adjoining Dahlia Bakery sells the breads and sweet creations offered at Douglas' restaurants. Seattle local restaurants are big on seasonal ingredients, and Capitol Hill's Sitka & Spruce takes this mantra down some intriguing avenues. Don't let the somewhat austere look of the place—exposed brick, concrete floors, a long communal table—fool you; chef Matt Dillon focuses his expertise on the food. The brief menu rotates frequently, and the selection of small plates, like house-made charcuterie or cheese with wildflower honey and crackers, are meant to be shared. If you're looking for a weekend brunch during your vacation that will fill you up without breaking the bank, head on over to Americana . The pancakes of the day (with toppings like peanut butter, blueberries and mozzarella) come with real maple syrup. Eggs Benedict sit atop gluten-free potato cakes rather than English muffins, with the addition of a little smoked gouda and Canadian bacon. Due to popular demand, brunch is served seven days a week. Located on Post Alley, The Pink Door (just look for you know what) has long been popular for its evening cabaret-style entertainment, from opera singers to the ever-popular trapeze artist who dangles from the 20-foot-high ceiling. But Seattleites in the know give it kudos for the food as well. The menu offers good, uncomplicated Italian cooking like lasagna with fresh spinach pasta and pesto and risotto made with Dungeness crab, summer corn and mascarpone. For one of the city's best summer lunchtime experiences, have a grilled cheese panini (they use Beecher's cheese) and a zestily flavored bowl of tomato soup while sitting on the outdoor patio enjoying the view of Elliott Bay and the market. In addition to a neon cactus and some vintage photographs of “old Mexico,” the front window of Gorditos bears a sign proclaiming “healthy Mexican food” and is the perfect place if you are wondering where to eat. People yell out greetings to each other at this casual neighborhood joint—a sure sign the clientele includes a lot of regulars. Tacos, quesadillas, salads and breakfast served all day are some of the many menu options, but burritos are the main draw here, with the grande size touted as being bigger than a newborn infant. Try it packed with pieces of whitefish (sautéed, not fried), shredded cabbage, black beans, green onions and liberal squirts of fresh lime juice, topped with mild Mexican white cheese and (in the “wet” version), bathed in a house-made, cilantro and herb-spiked salsa. In addition to its many cultural and historic landmarks, this destination hosts a number of outstanding festivals and events that may coincide with your vacation. Cold, gray days inevitably lead to thoughts of spring, and the Northwest Flower & Garden Show is a great welcome to the coming season. This huge event, one of the many exciting and fun things to do with friends, is held at the Washington State Convention Center in February and has exhibits by practically every plant society and horticultural organization you can think of, plus florist competitions and an orchid show. Another antidote to the winter blues is provided by Taste Washington , a wine and food event in late March. More than 200 wineries from around the Evergreen State show up to pour a taste of their products at this popular event, which also features savory bites prepared by dozens of Pacific Northwest restauranteurs. This can be one of many romantic, memorable things for couples to do. Seattle celebrates the coming of spring in early May with Seattle Yacht Club Opening Day Week , a tradition since 1913 and one of the most interesting things to do in Seattle. The unofficial beginning of boating season, it starts with a cannon blast as the Montlake Bridge is raised. A lively procession of watercraft—from kayaks to sailboats to yachts—then threads through Montlake Cut between Portage and Union bays, bound for Lake Washington. The University District StreetFair in mid-May is the kickoff of Seattle's festival season. Norwegian Constitution Day is celebrated at the 17th of May Festival with a parade and other activities in the Ballard neighborhood. The well-attended Seattle International Film Festival is held over four weeks in late May and early June at venues throughout the city; some 400 films from 80 countries are featured. Work with your AAA travel agency to ensure you are in Seattle during the Northwest Folklife Festival . Held over Memorial Day weekend on the Seattle Center grounds, it is a showcase of traditional and folk arts of more than 100 countries. Music, dancing, craft exhibits and cooking demonstrations are among the activities, some of which are participatory. The Fremont Fair welcomes the summer solstice in mid-June with an old-fashioned street fair, all kinds of live music, a parade and an art car show. Seattle Center hosts the Bite of Seattle food festival in mid-July, with more than 60 of the city's finest local restaurants as well as outdoor concerts and beer gardens. Seattle Seafair , held from mid-June to early August, anchors the summer schedule with street parades, hydroplane races on Lake Washington, tours of naval vessels and an air show. Labor Day weekend boasts Bumbershoot: Seattle's Music & Arts Festival . Music, comedy, visual and literary arts, theater and dance are showcased. The Argosy Christmas Ship Festival , which occurs from late November through late December, has been a Seattle holiday tradition since 1949 and should be included in all AAA travel packages. Illuminated boats sail to Puget Sound waterfront communities, with onboard choirs singing 20-minute performances broadcast via a speaker system while crowds on shore gather around roaring bonfires to listen. It's a fine way to get into the holiday spirit. Seattle CityPASS saves travelers up to 45 percent at 5 of Seattle's top attractions. Prepaid admission includes the Space Needle, Seattle Aquarium, Argosy Cruises Harbor Tour, a choice between the Museum of Pop Culture (MoPOP) or the Woodland Park Zoo, and a choice between Chihuly Garden and Glass or the Pacific Science Center. Seattle CityPASS tickets are 9 consecutive days, including the first day of use. The Seattle CityPASS is available online or from participating attractions. In one sense totem poles are the ultimate form of pictography—the art of writing with pictures. Carved from red cedar logs and emblazoned with symbolic animals and spirits, they are artistic expressions of their makers' tribal histories, telling straightforward stories in a mythological way. Several Northwest Coast Native American tribes constructed totem poles. They included the Haida, who inhabited the Queen Charlotte Islands off the coast of British Columbia; the Tlingit Indians of southeastern Alaska and northern British Columbia; and the Kwakiutl people of British Columbia. In addition, the Coast Salish people in southern British Columbia and western Washington carved large human figures that represented ancestors and benevolent spirits. One interesting fact to know before your trip is that poles served both practical and ceremonial functions. Some were buttressed against the front of a dwelling, serving as part of the doorway. Carved interior poles supported roof beams. Free-standing memorial totems placed in front of a house usually honored a deceased chief, while a mortuary pole had a niche at the top housing the coffin of an important individual. Other totems were signifiers of affluence, affirming wealth, prestige or the importance of family or clan affiliation. Common motifs were masklike faces, human (or humanoid) figures, bears, beavers, eagles, whales and other animals. One of the more dramatic and familiar totem figures is the thunderbird, easily recognized by its beaked face and outstretched wings. In addition to the intricately carved wood, many totems also featured painted surfaces, particularly the colors red, black and turquoise. There is little knowledge of totems prior to 1800, although late 18th-century explorers reported their existence. For one thing, the moist, humid climate of the Pacific Northwest was not kind to anything made of wood, hastening the process of decay. But the European fur trade brought both metal tools and wealth to the coastal tribes. Totems thus increased in size, often raised in conjunction with a potlatch, or elaborate feast ceremony. By the late 1800s most tribes had ceased carving large monumental poles; instead, they began creating smaller versions as souvenirs for the growing tourist trade, which continues to thrive because of travel sites and agencies. Today the largest and most impressive totems stand in coastal British Columbia, but there are several places in Seattle where you can see pole replicas. Perhaps the best-known example stands in Pioneer Square at the corner of First Avenue and Yesler Way. It has a checkered history: In 1899, members of the Seattle Chamber of Commerce pilfered the original while on an Alaskan vacation. The men were found guilty of theft but fined only $500, and the city was allowed to retain ownership. Vandals subsequently set the totem on fire in 1938, and the pieces were returned to Alaska, where Tlingit Indian craftsmen graciously carved a reproduction; it was dedicated with tribal blessings and has stood at the square since. Another one is in nearby Occidental Square Park (on Occidental Avenue between S. Washington and S. Main streets). Two 50-foot totems stand in Victor Steinbrueck Park, downtown on Western Avenue at the foot of Virginia Street (just north of Pike Place Market), and dazzle those on vacation in Seattle. For totems with a view, head to Belvedere Viewpoint in West Seattle (S.W. Admiral Way at S.W. Olga Street). Two cedar poles feature stylized depictions of beavers, fish and frogs, while the park offers terrific views across Elliott Bay to the downtown skyline, backed by the Cascades. North of downtown, there are five cedar totems on the grounds of the Burke Museum of Natural History and Culture , on the University of Washington campus (entrance at N.E. 45th Street and 17th Avenue N.E.). One of them is a replica of a Dzunuk'wa figure, which some people consider to be the female counterpart of the shy mythical forest giant Sasquatch. Tiny Blake Island, in Puget Sound 8 miles from the waterfront, makes a memorable day trip or one of many things to do this weekend. Take an Argosy Cruises tour boat to Tillicum Village, where a collection of totems surrounds the village's cedar longhouse. The entire island, once a Suquamish Indian ancestral fishing camp, is now Blake Island Marine State Park . One persistent myth is that the “low man on the totem pole” has a corresponding lowly status. But the fact is that while totems sometimes included a “ridicule” figure intended to shame or embarrass the individual depicted, there is no overall significance attached to the placement of figures on the pole. In 2007 the “heart and soul of Seattle” celebrated its centennial. What better reason, then, to make a pilgrimage to Pike Place Market? Whether it's your first trip or your 100th visit doesn't matter; there's always something new in store at this true city institution. The market owes its existence to consumer outrage over the high cost of produce. In 1906 the price of onions increased tenfold, and in response city councilman Thomas Revelle proposed the creation of a public street market that would bring together customers and King County's farmers. On the morning of Aug. 17, 1907, eight piled-high wagons pulled up to the corner of 1st Avenue and Pike Place. Everything was sold by noon, and the first market building opened for business that November. Exploring is more fun without a planned itinerary or a long list of what to do; just follow your eyes (and nose). Three useful tips: First, street parking spaces are more precious than gold; walk, take public transportation or use the Public Market Garage at 1531 Western Ave. (open year-round; rates vary seasonally). Second, come early (by 8 a.m.) for the best selection and to avoid crowds; lunchtime is good if you just want to be part of the wandering hordes. Third, there are restrooms in the Sanitary Market building, at the north end of the Main Arcade and on the downstairs level at the south end of the Main Arcade. The market is perhaps best known for its fresh produce, fishmongers and bakeries. A good location to dive in is the Main Arcade's south entrance right off Pike Place; look for Rachel, a bronze piggy bank and the market's unofficial mascot, standing beneath the landmark neon “Public Market Center” sign and clock. At Pike Place Bakery you can drool over cinnamon buns, coconut cream pies and slices of Black Forest cake before admiring the displays of fruits and vegetables at the produce stands and the rainbow colors of fresh-cut bouquets of flowers. The guys at Pike Place Fish Market entertain shoppers with a steady stream of wisecracks while flinging whole king salmon and other fish with abandon. And speaking of entertainment and fun things to do with friends, musicians, magicians and street buskers all do their performance thing on busy street corners and quiet spots under the arcades. If nothing else, Pike Place Market will stimulate your appetite. For a quick hunger fix, pick up a bag at the Daily Dozen Doughnut Co., 93 Pike St. These made-to-order mini delights, dusted with cinnamon or powdered sugar, dipped in chocolate or showered with candy sprinkles, are irresistible. Almost as much fun as devouring them is the loud popping sound the paper bag makes when one of the staff snaps it open with a flourish. Breakfast and lunch at local restaurants like the Soundview Café come with a view. The window tables look out over Elliott Bay and Duwamish Head, the northern tip of the Alki Peninsula, to the distant Olympic Mountains. On a rainy day, have a warming bowl of clam chowder and a couple of pieces of ciabatta bread (to sop up every last bit) while watching fog banks roll on the water. The Crumpet Shop, 1503 1st Ave., specializes in the popular English snack. Similar to an English muffin (it's also round), a crumpet is softer and spongier textured, and its porous top begs to be slathered with butter, strawberry jam or orange marmalade. Pair your crumpet with one of the shop's pre-steeped tea selections. Belly up to the teeny-tiny counter at Three Girls Bakery (1514 Pike Pl. ), another one of Seattle's delicious places to eat, where you can get an awesome meatloaf or pastrami and corned beef sandwich. Then get in line at the equally tiny window and order to-go cookies, pastries, loaves, croissants and one of the bakery's specialties—German-style, oven-baked pretzels. Explore DownUnder, the three-level maze below the Main Arcade. Shops sell everything from incense, jewelry, books and antiques to vintage comics, magic paraphernalia and old travel posters.